It’s that time of year again, and the 54th annual GRAMMY awards are taking place tonight, with the pre-show kicking off in the afternoon. If you’re into your awards shows then you’ll no doubt be wanting to tune in! If you’re out and about though, and need to keep up to date with all the goings on then you’re in luck, with the magic of the world wide web making it possible to stream the entire thing, including that pre-show we mentioned. The whole thing can be watched live from the comfort of your iOS device. That’s the iPad, iPhone and iPod touch, and judging by the number of those devices sold by Apple then the chances are that you’ve got at least one of those things sat in your home somewhere! Possibly a few! You can stream the whole thing using the free GRAMMY Live app which is available to download from the App Store right now. 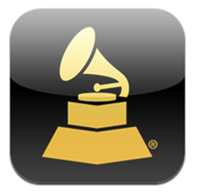 The magic of the 54th Annual GRAMMY® Awards, Feb. 12, 8pm ET/PT on CBS, is now available anywhere! 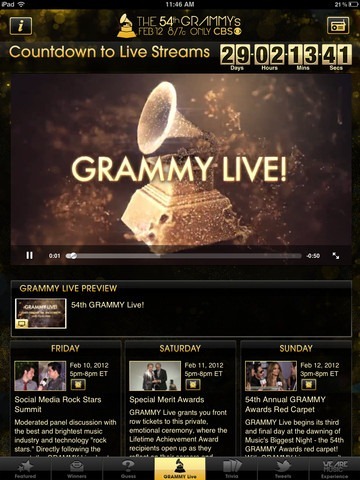 Enjoy Music’s Biggest Night® with the all-new GRAMMY mobile app, including the latest photos, videos, news, trivia and more! Don’t miss a second of music history in the making as you tune in to GRAMMY Live – three days of live-stream coverage of the VIP events leading up to and through the 54th Annual GRAMMY Awards. Listen to your favorite GRAMMY Nominees with GRAMMY Radio, and with our Guess the GRAMMYs interactive poll, pick who you think The Recording Academy’s voting members will choose to win the coveted GRAMMY Award across 20 categories! Performers during this year’s show include Adele, the Beach Boys (we’re showing our ages now!) and Kelly Clarkson. Bruce Springsteen and Katy Perry will also be in attendance apparently, so there really is something for everyone. The only real question now is whether there will be some hugely overblown drama that we will be hearing about for months to come.